Here are many readers who hate iTunes, all we ever think it's a hassle to have to use it for everything. There are some readers who use their iPhone with a file manager like iFile, and can download all kinds of files and manage them on your iPhone as if it were a computer. The only problem is that the songs you download on your iPhone by other methods could not go to the Music application, so far. With Bridge you can select any song and import it into your music library. If you pass a song now. Mp3 by email you can quickly add it to your list. You can download it for $ 1.99 in Cydia, you'll find it in the BigBoss repo. You need to have done the jailbreak on your device. 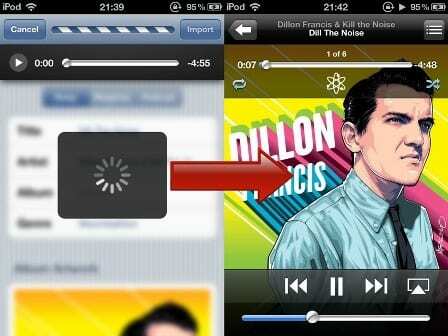 Article Bridge: add songs to iPhone without going through iTunes (Cydia) was originally published in News iPhone .